Perhaps one of the driving factors to why people still play relatively old video games today is due to nostalgia. Because of nostalgia fans will clamor for a re-release or remake of their favorite classic games with modern day techniques. If nothing else, a simple HD upgrade would please most of these people. Over the past year it has become very prominent in the game publishing business to do exactly that and Konami has been leading the way. Now they have brought us the Silent Hill HD Collection, one that will certainly bring fans of these classic horror games running to stores. The question however is whether or not this HD upgrade is worth your time. The Silent Hill HD Collection contains both Silent Hill 2 and Silent Hill 3 and anyone who has played the games before know exactly what they are in for when it comes to these games’ stories. Nothing has been changed in these stories and they still provide what can be seen as perhaps the best survival horror stories of all time. For those who need a refresher course or have never touched a Silent Hill game before, Silent Hill 2 follows James Sunderland, a man who goes to Silent Hill after receiving a strange letter from his wife who has passed away. This letter has asked James to go to their old vacation spot in Silent Hill and in an effort to see his wife again he makes the trip. 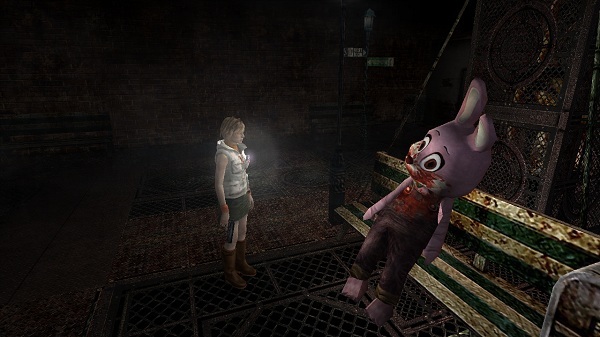 Silent Hill 3 follows Heather Mason, a teenage girl who tied to the events that occurred in the first Silent Hill game, which is not included in this bundle, as she is confronted with answers to her past and thrown into the creepy Otherworld multiple times until she is determined to enter Silent Hill. Silent Hill 2’s symbolism is still prevalent and the storyline is as engrossing as ever while Silent Hill 3 provides plenty of twists and turns to keep you on the edge of your seat. For those who have never played these original games then now is the best time to take the jump and enter the town of Silent Hill for two unforgettable adventures. Now it is common knowledge that anytime a game collection is released that has the words “HD Collection” in its name that the graphics would actually take a jump of some kind, even if just by a small amount. However the Silent Hill series has always had something special about it, and that was the games’ fog system. 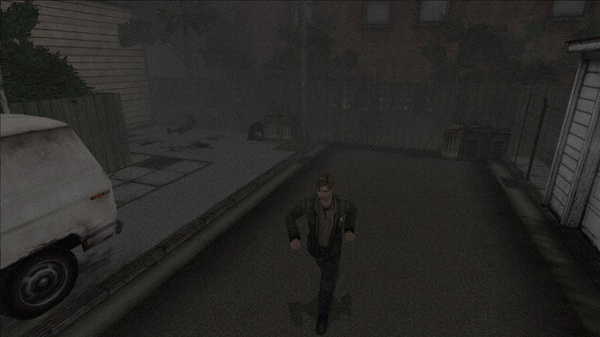 Some may not know, but the inclusion of the fog in the Silent Hill games was actually to hide various technical limitations of the original releases on the PlayStation 2. However with this HD upgrade it was deemed necessary to remove a few layers of this fog and show off a bit more of the Silent Hill world. While some may have thought that would have been the case, the reduction of the fog has actually caused quite a significant issue… you can now see where the level design and development ended in certain areas. To be more specific, you can now see where things were left unfinished as they were never meant to be seen in the original games. As such it lets players see just blank areas of the game that were left unfinished and is a significant problem during outside segments of the game, especially a few key areas where it is impossible not to notice. Another issue that arises from the fog being pushed back in both Silent Hill games is the fact that the towns are now less oppressive than they were before. One of the key features of Silent Hill’s horror was that you would never know what was around you as the fog was very prevalent and would obscure much of the world. With the fog lessened the area of sight is much wider and therefore creates a less threatening environment. While this problem is prevalent in both games, the main issue with the fog is noticed in Silent Hill 2 while Silent Hill 3 fairs better with its upgrades. 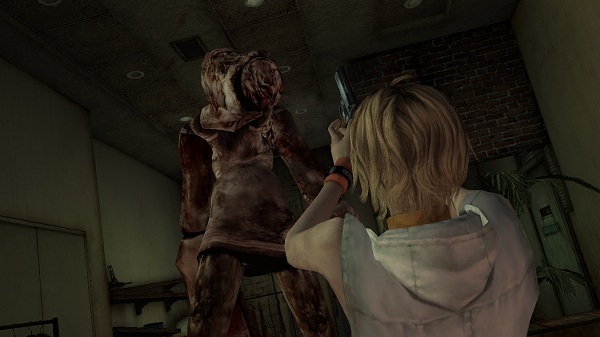 Releasing two years after its predecessor, Team Silent was more experienced with the PlayStation 2’s mechanics and this shows with how impressive Silent Hill 3 has turned out with this HD upgrade. 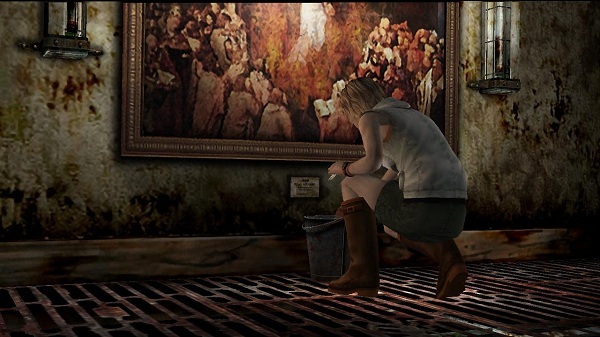 The characters are great looking and the environments have seen a significant improvement, making Silent Hill 3 the key HD game of this collection. While there are plenty of things wrong with how well the game’s HD upgrade went, another significant problem arises when you turn your volume up and listen to either of these games, unless you like playing your horror games on mute. Now it is worth noting that due to various issues, Silent Hill 2 and Silent Hill 3 have been re-casted with brand new voice actors though there is an option for purists to retain the original voice work for Silent Hill 2. While the new voice actors do their best, it is obviously a nostalgia breaker hearing memorable characters sounding completely different form how we remember them. Plus the new voice actors are absolutely a bore to listen to as nearly everyone feels like they are phoning in their lines. This is especially true with Silent Hill 3’s protagonist Heather who originally sounded like a proper teenage girl thrown into a hellish world and is now being voiced by someone who sounds like a middle-aged woman trying to be a teenager again. Also, with the new voice cast there are plenty of lip synch issues that arise whenever the new audio tracks are listened and fans may notice wherever certain lines have been changed or words omitted. However that is only the start of the issues. Throughout your time playing the Silent Hill HD Collection you best be prepared to listen to plenty of audio issues as both games struggle to provide consistent audio quality. There are plenty of times that the game’s audio will simply cut out whenever certain weapons are used and there is plenty of instances where the game will undergo any number of audio issues such as crackling, sound loops and more which is just unacceptable. Thankfully one thing that has been left untouched in both Silent Hill games is the way that each title plays. Although absolutely nothing has been added into the titles, purists and fans of the series will be glad to see that their gameplay experience will remain more or less the exact same short of the audio and graphical issues. 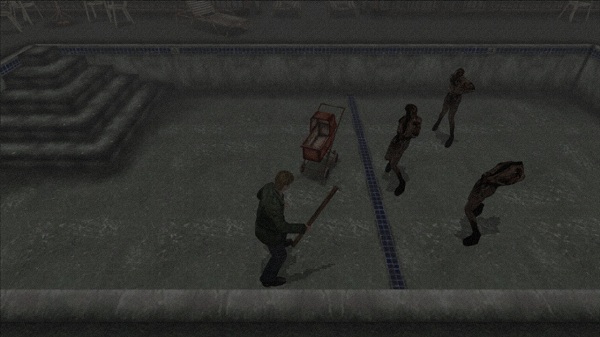 This also means that one of the highlights of the Silent Hill series is retained in full quality here, the difficult puzzles. Silent Hill 2 and 3 never held the player’s hand when it came to puzzle solving and though it may be easier to figure things out now thanks to the internet and countless walkthroughs, there is still a certain level of difficulty here that isn’t found in nearly any of today’s games. Also returning is the same combat and classic survival horror action fans are used to. Though difficult, this combat made the characters feel all the more human as they tried to survive against horrific monsters with weapons they have barely any experience using. While the Silent Hill HD Collection contains the exact same gaming experience and offers fans what can be described as some of the best classic survival horror on the market today, the whole “HD Collection” is impossible to ignore. Rereleasing Silent Hill 2 and 3 to fans should have been an easy way to restore the Silent Hill series to greatness and offer fans exactly what they want. Instead we are presented with a graphical upgrade that barely should be called such and more audio issues than you can shake a stick at. If this title was simply called Silent Hill Collection, it would easily be considered a better game, instead with just two letters and a promise for a better looking game, Silent Hill HD Collection is a travesty that could have easily been avoided.